Freeport Retail is the managing partner of Caserta Commercial Inc. since its operation began on October 2018. Freeport is one of the pioneers of the industry in Europe having been the first company to bring the outlet concept over from the USA. It opened its first outlet back in 1994. Since then Freeport has opened 12 outlet villages either as sole developer and investor or in joint venture with third parties. Freeport has opened 5 outlets in the United Kingdom and others in Portugal, Sweden, Italy, Czech Republic and Slovakia and is currently developing a major new outlet in Lyon, France. 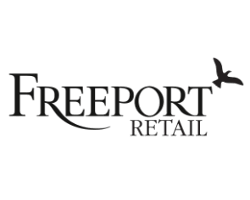 Freeport A’Famosa Outlet is the company’s first project in South-East Asia and the company is looking to expand its activities in the region. It is actively pursuing opportunities in Jakarta, Indonesia and near Macau in China. Freeport is a private company based in Pall Mall, St James, London.